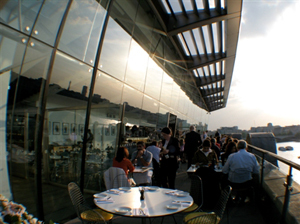 A marketing collective for venues on the South Bank will launch with a showcase event on 30 September at OXO Tower Restaurant Bar and Brasserie. South Bank Venues will launch with 21 member venues who have joined forces to proactively promote London's South Bank as a top destination for meetings, incentives, conferences and events. Elizabeth Parbutt, marketing director, South Bank Employers' Group, said: "For over twelve years we have managed a leisure marketing collective and this collaboration has been hugely successfully in promoting the South Bank as a visitor destination and turning it into a must-do area. We are very excited to now have the opportunity to apply this partnership-working model to the business tourism market. The launch event will be a fantastic opportunity to turn the spotlight on South Bank and showcase the unique and varied venues on offer in the area." A website located at www.southbanklondon.com/venues shows details of the venues who will be exhibiting at the launch event. Following the launch, a downloadable Venues Directory and Capacity Chart will also be added to the site.